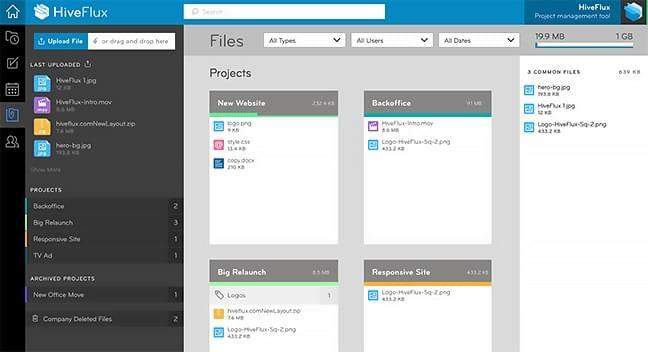 HiveFlux is a cloud-based project management solution that helps boost collaboration and transparency on co-located or disparate project teams. HiveFlux’s intuitive web-based interface allows easy project and portfolio management. Robust task management features are at the heart of the system; HiveFlux lets you create private and public task lists, delegate tasks and sub-tasks, and even includes integrated time-tracking widget that automatically starts and resets each time you start a new task — HiveFlux will even take this time-tracking data to automatically generate timesheets for easier payroll and hourly billing. Assign multiple task priorities, set parameters for automatic notifications, and use ‘slots’ to estimate time required for tasks with the popular Pomodoro technique. HiveFlux is great for revealing and quashing bottlenecks, thanks to the workload balancing features that let you quickly and easily see when someone is overloaded and who has available bandwidth to pick up the slack. Filter by project or person to drill-down even further, and a powerful global search function helps you quickly locate essential files, conversations, tasks, and etc. HiveFlux is available in five versions, priced by the number of active projects, file storage, and customer support required. A free version is available for managing up to 2 projects with 1 GB of storage, and plans go all the way up to the nearly unlimited enterprise-level plan at $99/month. Not sure if HiveFlux is the right fit for your team? See more options with our Project Management Software Product Selection Tool, or if you’d prefer, call, click, or email to speak with an unbiased Technology Advisor for a no-cost, no-obligation consultation on your unique needs. Learn everything you need to know about HiveFlux. Our experts will reach out to you shortly.